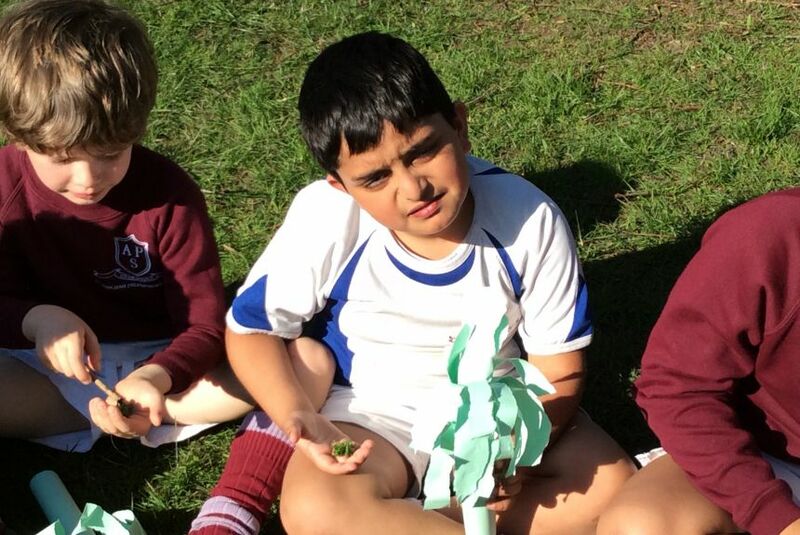 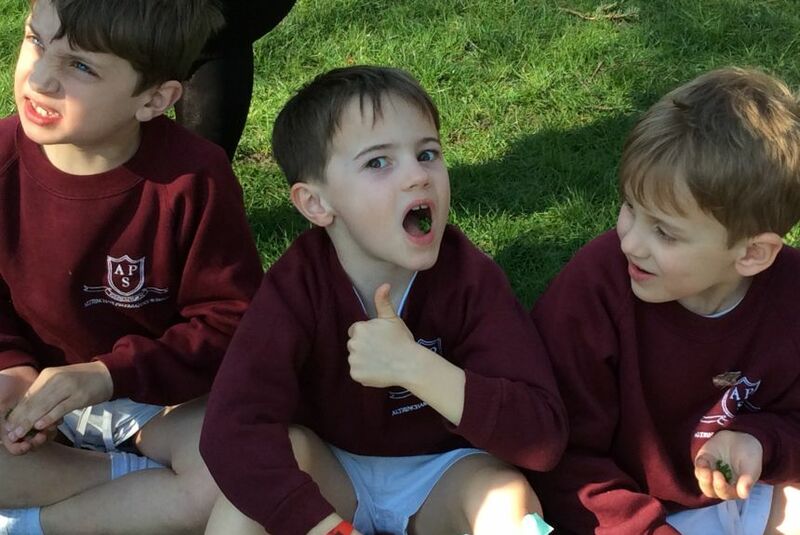 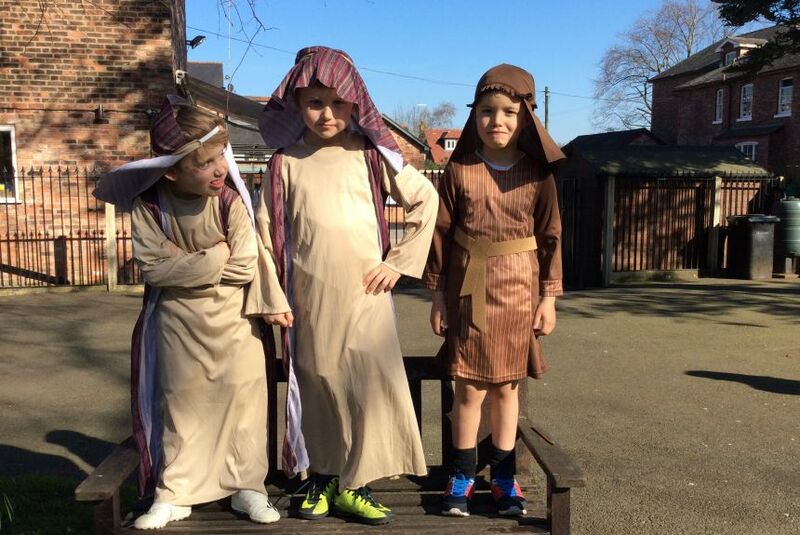 The boys have been learning about the Easter Story. 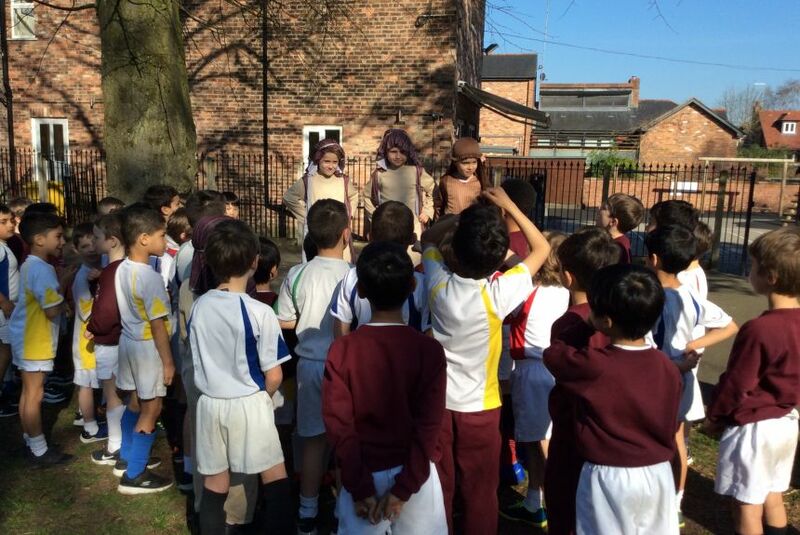 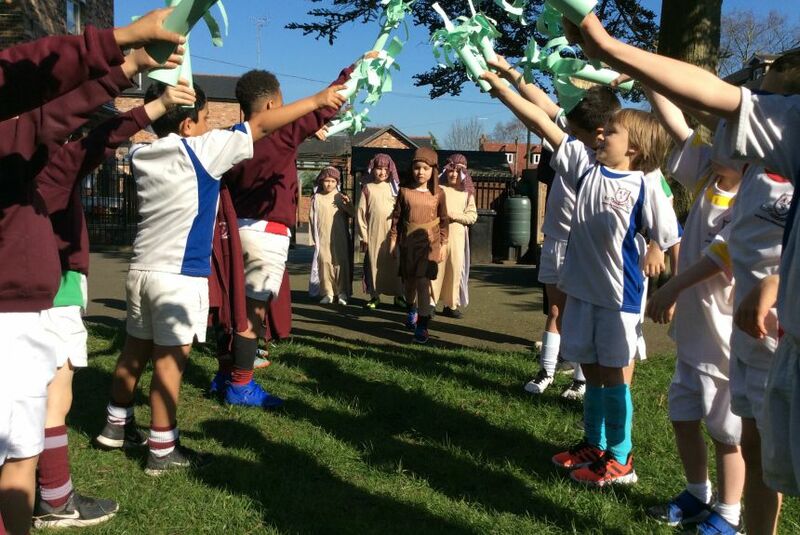 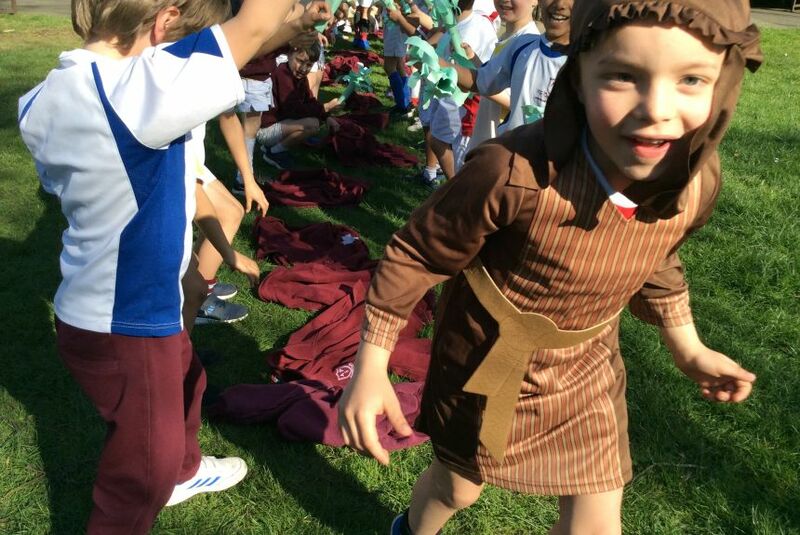 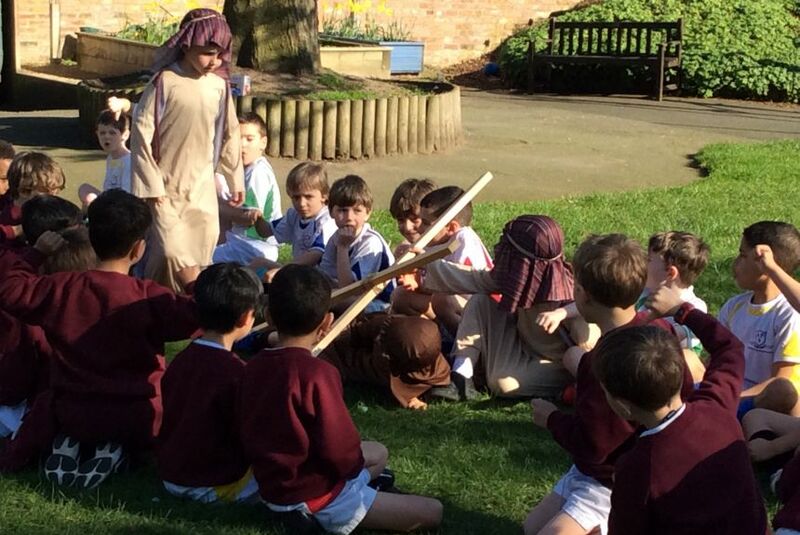 As part of our learning we acted out the events of Holy Week. 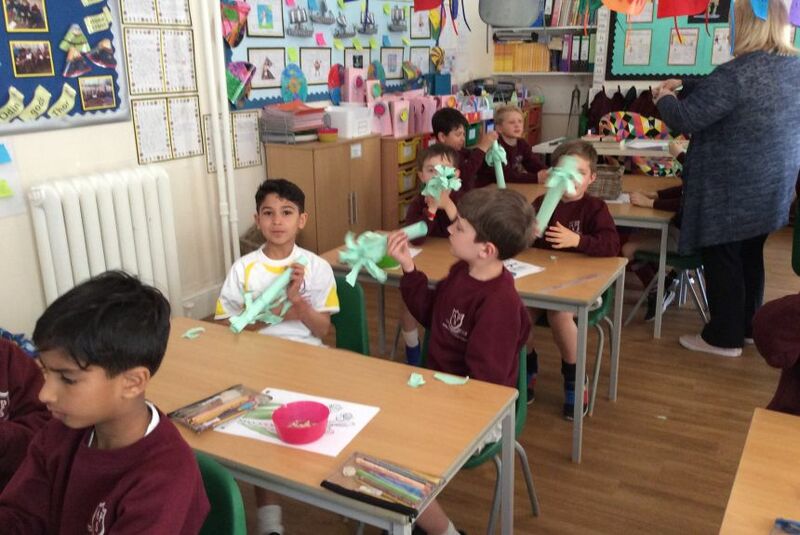 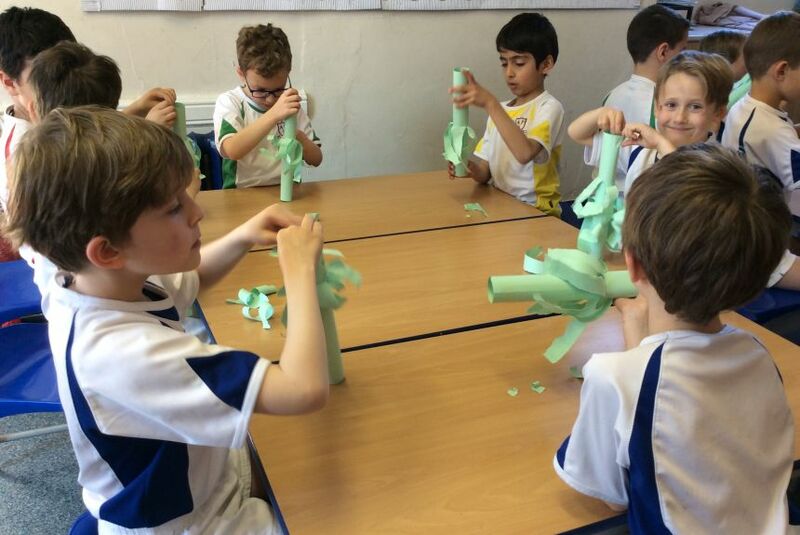 We made palms for Palm Sunday to welcome Jesus and then we tasted some of the foods from the Sedar Plate (Matzoh and parsley) that Jesus would have eaten fat The Last Supper. 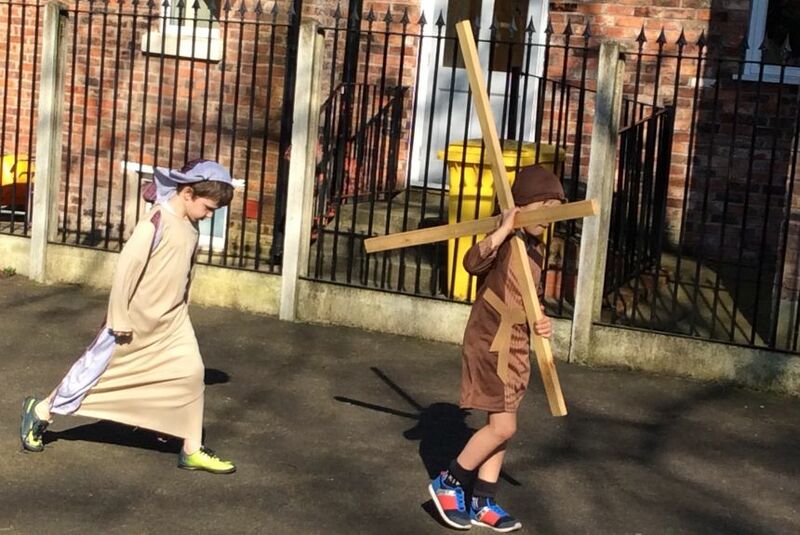 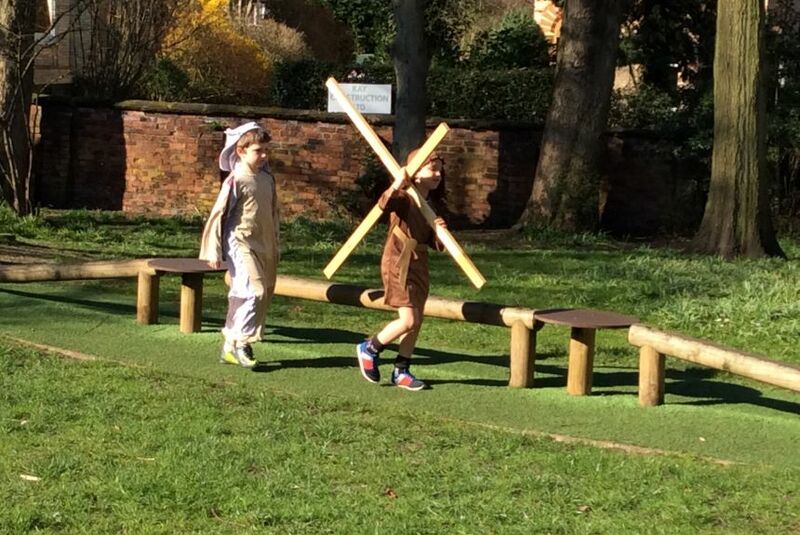 We then had a loud courtcase which resulted in Jesus being sent to be crucified. 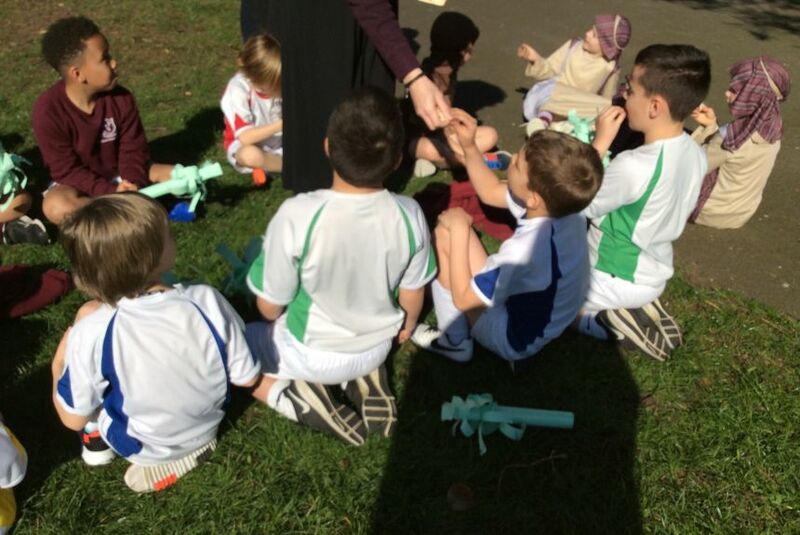 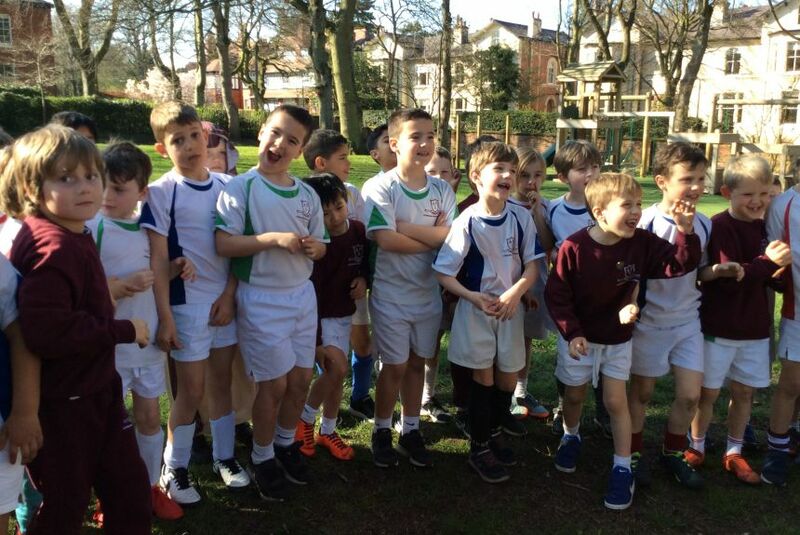 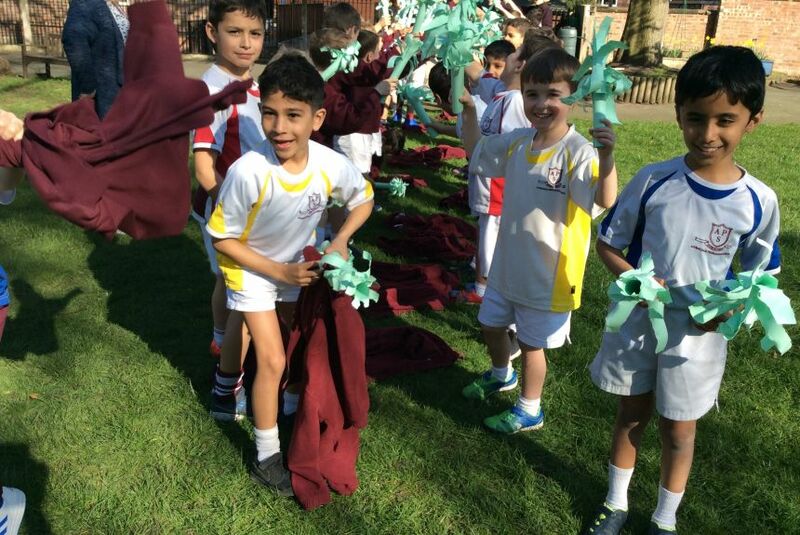 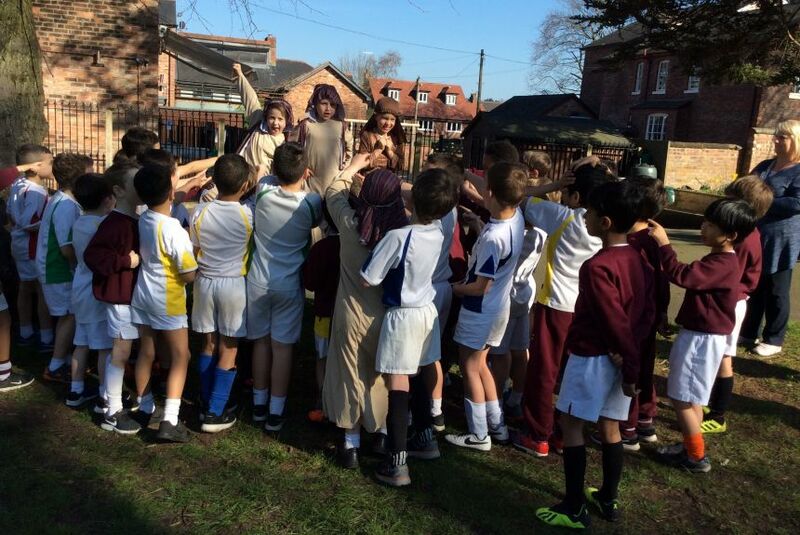 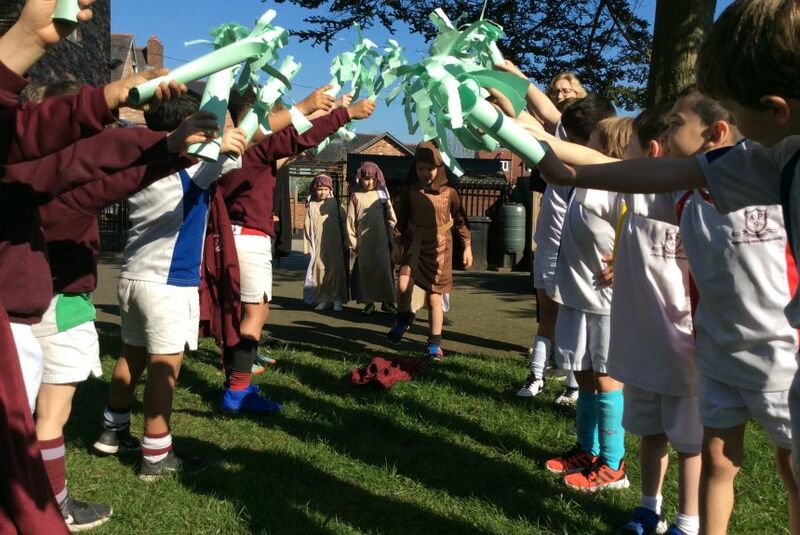 All the boys had a fun afternoon learning about the most important festival to the Christian community.